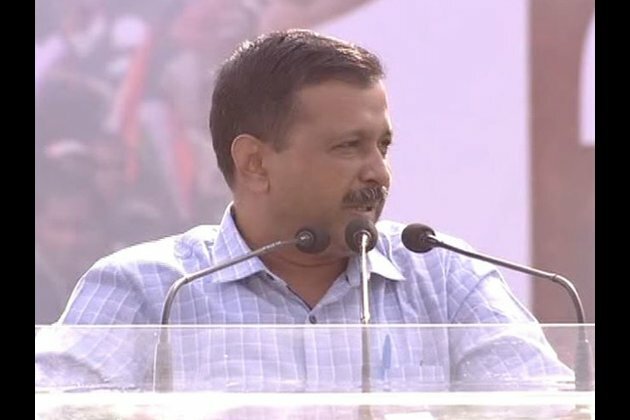 Kolkata (West Bengal) [India], Jan 19 (ANI): Delhi Chief Minister and Aam Aadmi Party (AAP) chief Arvind Kejriwal said if the BJP comes to power again in 2019, Prime Minister Narendra Modi and BJP president Amit Shah will operate in a manner similar to that of Adolf Hitler. "If Narendra Modi and Amit Shah will form the government in 2019, they will change the constitution and will do away with the system of elections in the country and will end democracy in the country. They will do the same thing that Adolf Hitler had done in Germany when he came to power," he said while addressing the anti-BJP rally on Saturday. Upping the ante against the duo, Kejriwal said Prime Minister Modi and Amit Shah have done what Pakistan failed to do in 70 years. "What Pakistan failed to do in 70 years, Amit Shah and Narendra Modi have done in last 5 years. They have pitched Hindus against Muslims and each and every community against each other," he said.